Nicor, ComEd, and North Shore Gas are all offering rebates on high efficiency furnace and air conditioner replacements. All Temp can process these for you so you don’t have to wait. Contact our sales department for details. 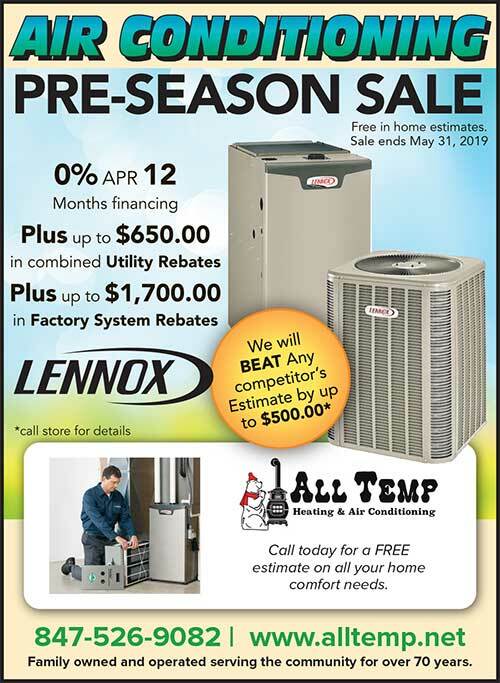 Lennox and Daikin offer seasonal rebate programs in addition to the utility company rebates.